another lunch: Howdy! 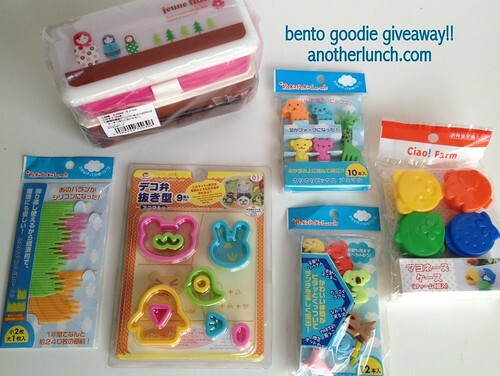 How about a giveaway of bento goodies?!! Me wanty! Love your blog and you've got me trying to make my kids lunch more exciting. ohhhh, these would be perfect for my little ones! Thank you! Ive missed your posts & you've been such an inspiration id love to get some real bento gear! 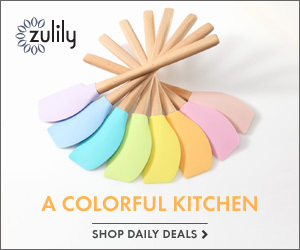 These just might convince my Lulu to eat more of her lunch at school every day!! My twins would love those forks! They are all about the zoo lately. Ooh! I would love to have these to add to my collection! Love the mini cutters the most! Would love these for my daughters! Ahhh my two year old LOVES bento boxes! These are adorable! I would love to get this!!!! Yes please put me down to win this and totally up for paying shipping!! Aww... that's so fun! I'd love to use these! I'm just now getting into it so I don't have much of a stash of my own! Me please :) I'd love to start a collection and start making bento lunches for my littles! Would love to add these to my little ones lunches. Would love to win and pay shipping! Good luck everyone! I would love this! yes, please! You're so talented, I love these! Very cute, especially love the silicon grass! I would love to win! I just got notice from the library that the book I requested, the "Just Bento" cookbook, has come in, and I can't wait to get some ideas from it! Wow, look at all this cuteness! Would love to have supplies like this for my preschooler's lunch. Thanks for doing a giveaway!! How exciting! I've been coveting some picks for my daughters for ages. Thanks for the chance to win! I live in Canada, but I'd pay the shipping. 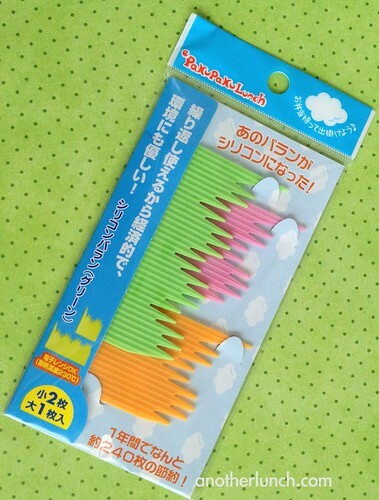 This stuff is so cute! I can't wait until my daughter is old enough that she will actually appreciate Bento. Thanks for being so inspiring! I make your granola bar recipe every week - and every week so far it has actually turned out (phew). Oh, how I want to play with those! Please! So fun!!! I would love to have stuff like this for trips to the park and picnics with my four granddaughters . I just think they are adorable. it's so hard to find cute little things for the lunch. WOW! Thanks for the giveaway. Cute stuff for little lunches and snacks. My daughter is starting kindergarten in the fall and I'm trying to collect bento things for her lunches...winning this would be AMAZING!!! This would be so perfect for my kids! Thanks! Thanks for the chance to win. Love following your blog and getting inspiration to make my kids food fun! I'd totally pay for the shipping to Canada! Hope we win, love it all! Thanks for having such a great bog and giveaway! I'd love these! Thanks! I can get my baby sister to receive in the USA for me and bring home later. Oooo! I love bento goodies and those are so cute! The wording on the box is french. The large font translates as "girl" and the small font roughly translates as "we are 3 sisters from a very good friend" which makes sense with the 3 nesting dolls. So fun! Would be perfect for school lunches, picnics, or travel snacks! Pick me! Me! Me! I have been bento-ing my kids' lunches since finding your blog last year. Love your great creative ideas! I would love to win! I'm a bento admirer and would love to start making them! I would love all that stuff!! I have very little bento supplies. Glad to hear from you again! Always on the hunt for more sauce cups! Hope I win! Thanks for the giveaway, I'd love to get these cute accessories. Oh, everything is so cute! My daughter starts kindergarten this fall and so I've been practicing bento (on a plate) so I can hopefully get faster/more efficient at making lunches by then. These would make RAD additions to her lunches! These are great! I would love to win! ;) Thank you for hoarding and sharing! I'm a mom of 5 with a 6th on the way. I'm a Bento newbie and would definitely put these to good use! I adore that box! (And, I totally laughed at your "x-rated" comment .... especially after I turned my head sideways and looked at the koala bear! OHHHHHHHHHHHHHH i'd LOVE LOVE LOVE these for when my toddler starts preschool! We are the same three sister of a good friend. I'd love to win this! Hooray for supporting autism awareness! Also - I think it's sort of funny that the Russian nesting dolls have French words. But oh well, it's really cute! Love your photos, love the inspiration I get from your posts. Thanks for the chance to win this amazing giveaway! always love your inspiration and would love to win some goodies. i would love to win these too! such a great lot of bento goodness! thanks for sharing! Oh.my.word! I have been wanting to get into this but I just cannot seem to get started. This would be absolutely great to get me started. Thank you for offering such a great giveaway!! Love it! I'm in Canada and would gladly pay shipping!! On a serious note...thank you for all your posts and great ideas!! I love them all!! Love this! We just started doing bento boxes this year since my girl started kinder. I have learned so much from you! I've been bento-izing my daughter's lunches and she's been eating much healthier. I would love to win these. It would send her over the moon! Oh! How fun! I'm new to bento-ing and am falling in love with all the fun boxes and accessories. Enough that now I'm making bento boxes on Sundays for the week and delivering to 4 grandchildren. Who are, of course, delighted. Absolutely love the sauce cups...I could never find these in the stores near me. I love these, and your blog!!! Oh, love! 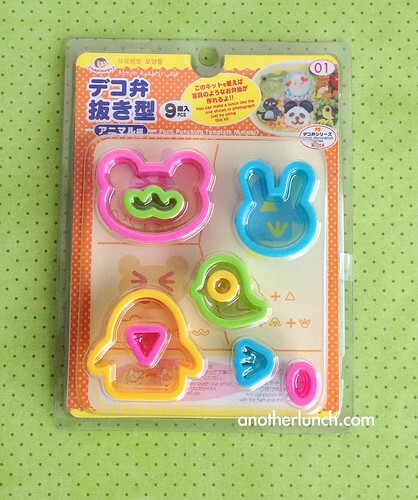 My three kids currently argue over who gets which of the cute bento goodies - would love to add to our stash! I would love to win this set. I love everything about it. The only thing we have from the set is one little yellow giraffe left from that set. My daughter wont let me use it in her lunch because her favorite animal is a giraffe and she is afraid the last lonely giraffe will get lost. I'd love to surprise her with this. I'm in the US but would still be willing to pay for shipping. I love your blog! What a great giveaway! What an awesome giveaway!!!! Thank you! Thanks for the autism awareness nod! 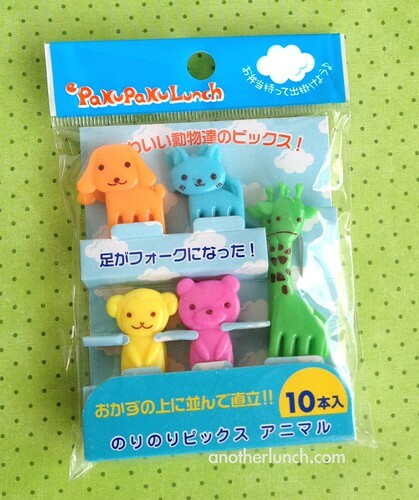 My girl would love these for her lunches ... especially the giraffe! L...O...V...E!!! I feel creative just looking at all the cutie stuff!! How fun! Thanks so much for offering them. I just got started with bento stuff for my 2 year old in preschool He LOVES it and it's SO much easier to get him to eat when it's fun for him. I would love these to add to my small but growing collection! I would love these goodies for my girls' lunches!! Love making bento boxes for my grandkids - always looking for goodies!! Super cute! My daughters would flip for the nesting doll box. Great giveaway and nothing wrong with trying to keep costs down. So many of us know how it is. I'd love to win. Those look so fun. Cute stuff! What a fun giveaway! My daughter would love these. She makes bento lunches for herself and her little brother! Awesome picks. Your site is lovely. Happy spring. My daughter would love this set! Such an awesome giveaway, thanks for the chance. Would love to win this to start trying this with my kids lunches! Super cute! Love your blog!!!! 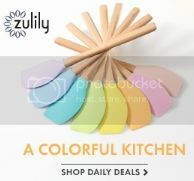 Would love, love, LOVE these for my little girl's meals!! So stinkin' cute!! I love your blog! Always excited to see when you post! Oooh, I would love to have these! Pick me!!!! Those are all so cute! I love all of your Bento creations. Very interesting. Wow, thanks for this opportunity. My two daughters absolutely love their bento lunches. They said their friends always like to peek in their lunches to see the creation of the day. Those food picks are awesome! All so cute! I hope I win something! I love these! Admittedly some of them I already have in my collection, but they would make great gifts to some of my Bento newbie friends. Also, the secret language is French! It says, "Young girl, we are the same three sisters of a good friend" or something like that, my French is way out of practice. Oh pick me pick me!! I've been wanting to start bento for my daughter and she would die over these!! I think almost all of these things are in my wish list at the moment!!! Oh, thanks for hosting such a great giveaway! I hope I win just so I can get that tree pick! Oh, those are so cute! I've been very pleased with the bento gear I've gotten after being inspired by some of your ideas, so I'd ADORE ending up with some that you loved so much to double-buy. :) If not, I'll still know what to put on my wishlist for Xmas! WOW! You have inspired me to make lunch more fun for my children and more interesting for me. Can I get a peanut butter and jelly EVERY day Amen? LOL I'm in Western NY and would be thrilled to win...shipping on me :) Thanks for posting your wonderful ideas! The bento stuff is SOOOO much fun! My grown daughter uses them for her office lunches. Everyone is ALWAYS looking to see what she has! Love them! I love free stuff. ^_^ Please count me in. thanks so much for the chance to win. love all your wonderful ideas--so inspiring and fun! I would love to win!!! Thanks for the giveaway!! 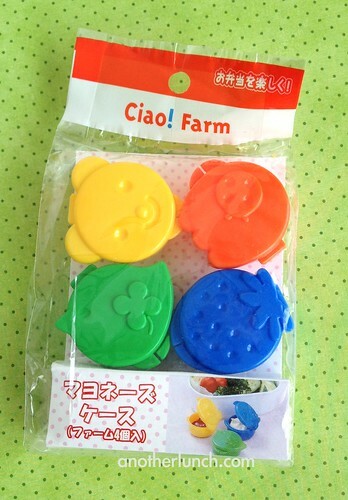 I've been wanting to get my bento supplies started for my 3 year old (and 8 month old). This would be a great little set! Thanks for the giveaway! Awesome giveaway! I need to start sending healthier lunches to daycare instead of letting my son eat their food, this might just be the push that I need! So cute! My little girl just turned 2 and I've already started building my bento collection so I'll be ready when she starts school (and to make cute lunches for myself)! I would like to start bento lunches for my boy, so these would be a great way to get my foot into the bento world. Thanks do much! I love your blog! Such eye candy! My daughter starts preschool next week; she is on the autism spectrum and starts right when she turns three! I've been looking for supplies like this to make her meals away fun for her. Hooray - so excited to see more posting! Thanks for the giveaway chance. kaf111174 at hotmail. I've been reading your blog and I've been interested in getting started with bento! I have a 5 year old girl and a 7 year old boy. I love these. They are all so cute. I am new to this whole Bento thing. This would make a great start. What great items! Thank you for the giveaway! I've always loved how cute all these bento are but had the hardest time finding the stuff to make it. 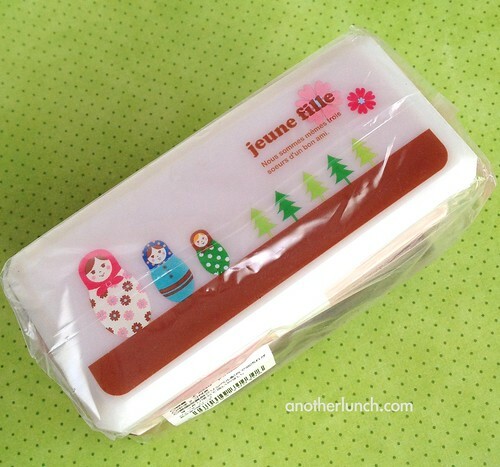 Thank you for your blog & giveaway! 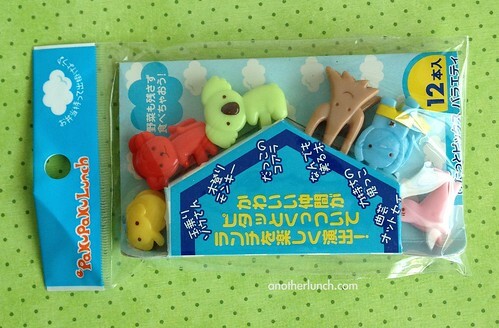 Such cute items -- look forward to hopefully receiving one of the items. I love using your products with my grandchildren. Thank you! I'd love to learn more & win! My kids' lunches went from boring to beautiful thanks to the ideas and inspiration on your blog. Would love the opportunity to add to my (new and quite small) stash of bento box goodies. Thanks! This is so nice of you to do, I would love to win these bento goodies! Love all of it! Hope I win! Thank you for the give away, and thank you for the nod to Autism Awareness Month. I actually got into bentoing to help my autistic son eat a better and more balanced lunch. What great inspiration these items would be! Sauce cups and picks and dividers, oh my! And lots more goodies, too! Thanks for the awesome giveaway! I've been in a HUGE lunch-packing rut lately - some new goodies could really help out! Lol, I'm not sure how my fiance would feel with me packing his lunch with cute little picks, but I still love them!! Sauce cups would defiantly be useful as the ones I use are way to large. And he would just have to get over my using the food cutters to make cute little animals to decorate his sandwiches with. Started bento-ing since finding your site, luv it! Thanks for all the inspiration! Sorry... I didn't mean to delete my comment, went to edit it and wound-up deleting it!! My daughter starts Kindergarten in the Fall and her school does not have a cafeteria that serves lunches, so we will have to pack every day. This terrifies me because I worry about packing her something nutritious that will get her through her day and being creative. So I am thinking Bento is the way to go. I LOVE the box with the Russian nesting dolls... I just recently handed down an authentic set of dolls from when I was little to my daughter and she loves them, so the box would be a hit for sure!! Giraffes are my daughter's favorite animal and we would love to win this set! Love! Love! Love! Thank you for this giveaway! 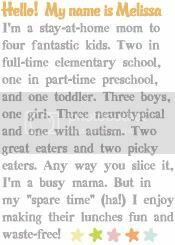 Love that you're doing this in honor of autism:-) I have a picky eater entering kindergarden in the fall, so have been scouring your site for tips and tricks to making lunch fun...for both of us! I never win things like this, but have to say that if I won anything, I'd feel better kicking in shipping on my end:-) single mom, can relate lol. Thanks for all of the inspiration, and I look forward to seeing more from you! Also, hope you're all feeling better. What a great giveaway! I'd love a shot! Cute things! They would be so fun to use. Love the first set of picks! Thank you. Ooo! Ooo! Please pick meh! I'd love to win any of them! You've changed my lunch making forever - hope to hear more from you soon. Such cute stuff!! Love your blog!!! Oh my, you sounded like me. I'm a hoarder too. Glad I have hubby to tame my obsession. But I don't have any single bento tools to start with. I am just building my collections for my incoming kindergartner. Your giveaway is perfect timing! These are amazing thanks for the chance to win.